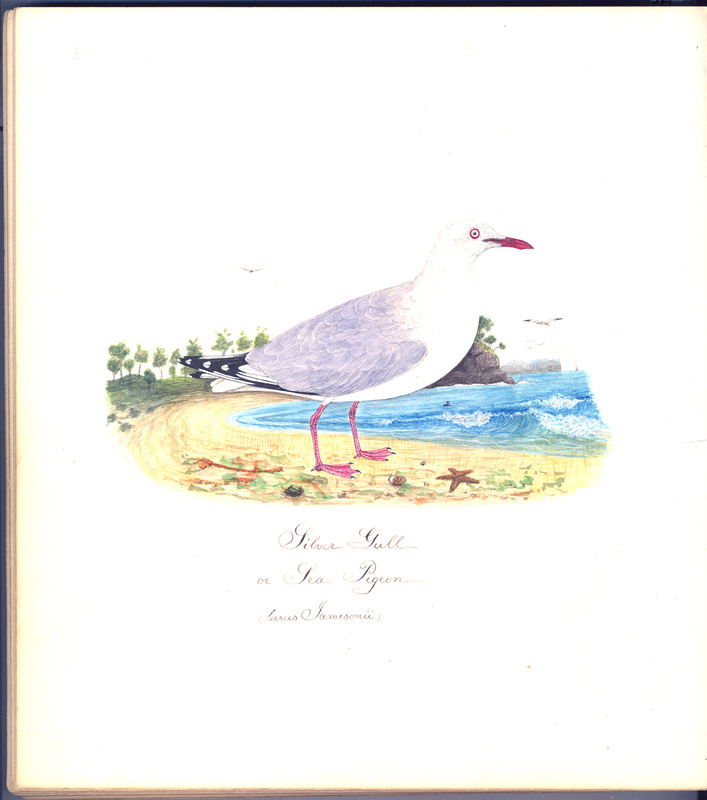 May, Alfred , Bird painting of a 'Silver Gull or Sea Pigeon (larus Jamesonii)' by Alfred May (1862-1948) Tasmania , University of Tasmania Library Special and Rare Materials Collection, Australia. 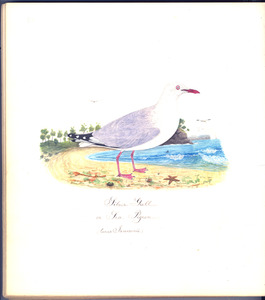 Bird painting of a 'Siver Gull or Sea pigeon' by Alfred May, otherwise known as Alf, who was the son of William May and lived most of his life on the property at Sandford to which he came with his family in 1874. The orchard on the property enjoyed a very good reputation, successfully exporting to London. Alf contributed to the hard work this entailed. He still found time to devote himself to other pursuits and discovered a very real artistic talent as can be seen in the examples of his bird paintings.Private collection.